Tampa Bay’s building boom is more than just a collection of oversized cranes creating more downtown office space. It is a story of growth – one that reflects the increasing popularity and population of the region – and one that isn’t ending anytime soon. Five years from now, the Tampa Bay skyline and surrounding region will be unrecognizable. Get ready for a new Tampa Bay. Driving this transformation is the influx of younger residents who desire a more walkable urban center that is also chic, high-tech and relatively affordable. Online survey company WalletHub recently declared Tampa the second-best place in the country for first-time homebuyers, and the 16th best large city to live in among the 62 cities that were considered. However, it’s not just about millennials. Because fixed incomes go much further here, the region is also attracting higher income, higher net worth retirees who are bringing their intellect and life experience to new enterprises. In fact, WalletHub also ranked Tampa third on its 2018 list of best places to retire. CEOs and entrepreneurs are fleeing high-tax, cold weather states like New York and New Jersey for the Sunshine State, and find Tampa Bay particularly appealing. With over 1,000 people moving into Florida every day, developers can see and feel the opportunities. Tampa’s corporate base has been diversifying, and growing, in response. More companies, in industries ranging from healthcare to technology, are relocating their headquarters to Tampa Bay and offering more high-paying jobs. 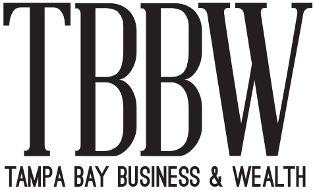 This translates into a strong office market and job growth for the Tampa Bay Region. According to Cushman & Wakefield’s second quarter report, unemployment in Tampa/Hillsborough County fell to a mere 3.2 percent and 3.1 percent for Pinellas County. The overall vacancy rate for offices in Hillsborough County dropped over the past twelve months to 10.9 percent, marking the lowest vacancy rate in 12 years, and the lowest Class A overall vacancy rate in more than 20 years, at 7.8 percent. Consequently, Tampa Bay’s commercial real estate market is busy with mixed-use projects and hotels changing ownership, being built or undergoing renovation. Consider the project that is garnering the most attention – Water Street, the $3 billion, mixed-use development from Strategic Property Partners, the joint venture between Tampa Bay Lightning owner Jeff Vinik and Cascade Investment LLC owned by Bill Gates. Water Street is a premier example of the future of Tampa Bay’s real estate market. With 3,500 new residences and commercial space in 9 million square feet. Water Street will also include a 26-story, 519-room, JW Marriott Hotel intended for convention crowds (and Super Bowl 2021 guests), as well as the city’s first five-star hotel, the Tampa EDITION. Water Street will create pedestrian-friendly streets to connect urban hot spots such as the Tampa Convention Center, Amalie Arena and the Tampa Riverwalk. South Florida developers have ventured up to Tampa for developments such as the Altis Grand Central, a project by Altman Companies of Boca Raton. The development will be comprised of 314 residential units, and 9,750 square feet of retail space, on 2.5 acres near downtown. Even professional sports are fueling the building boom. The Tampa Bay Rays have announced their plans for a new Major League Baseball stadium, on a 14-acre site in historic Ybor City, with a reported price tag of almost $900 million. 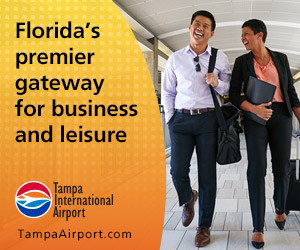 For both local and out-of-state construction companies, all the work slated for Tampa International Airport’s $2.6 billion master plan update will continue to provide business for the next several years. The airport is entering the second phase of its three-part strategy to accommodate the growing number of passengers coming through its gates. All of this current and proposed construction doesn’t mean overbuilding or over-exuberance on the part of developers and investors. Indeed, there is a lot of wealth being created here in Tampa Bay because real estate – especially commercial real estate – is becoming more transparent while money is pouring in from REITs and institutional investors. 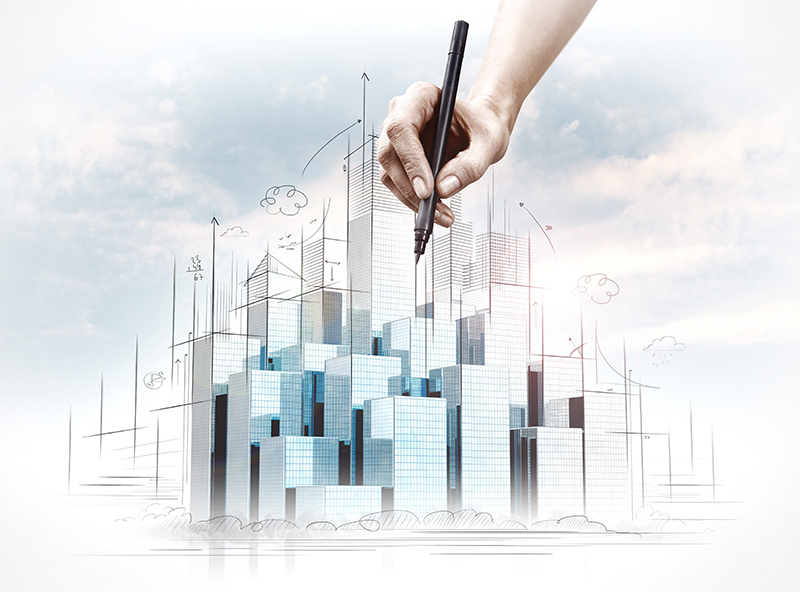 There is no shortage of cash and capital from multiple different sources for strong projects. Take Florida Funders for example, a Tampa-based investment organization that is raising $15 million to support early-stage tech companies. Lessons have been learned the hard way from the Great Recession, however, Tampa’s real estate market is more constrained and cautious. For instance, in the past if a developer wanted to build 200 condos, the bank required 10 percent solid pre-sale of units. Now, a bank might require 30 percent solid pre-sales. So, even if the economy finds itself facing another economic slump, the impact here will be more muted.